There are two types of people in world – one who loves eating and another who does not love eating. You may call the first type of person – a Foodie. 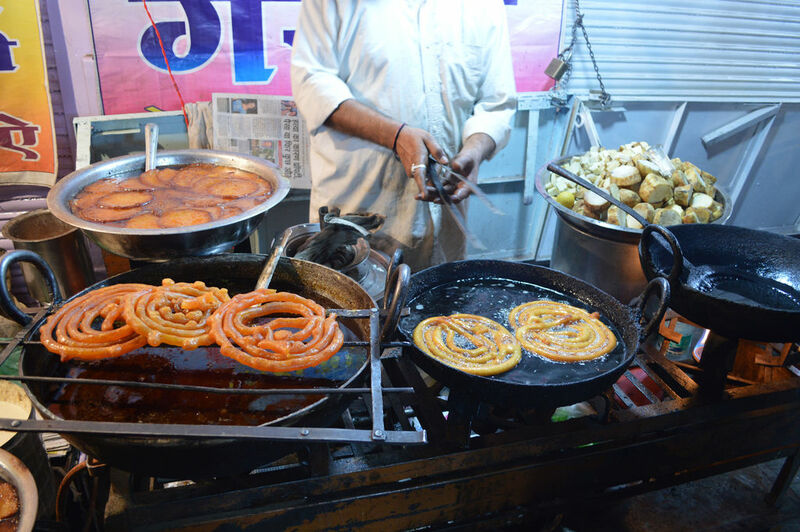 Every city has its own Foodies Paradise. 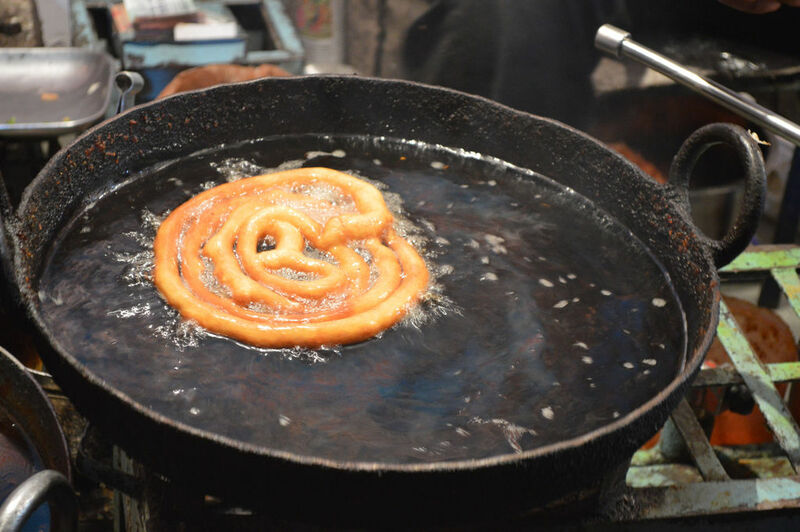 You will find at least one corner in a city/town where foodies frequent to taste the delicacies. 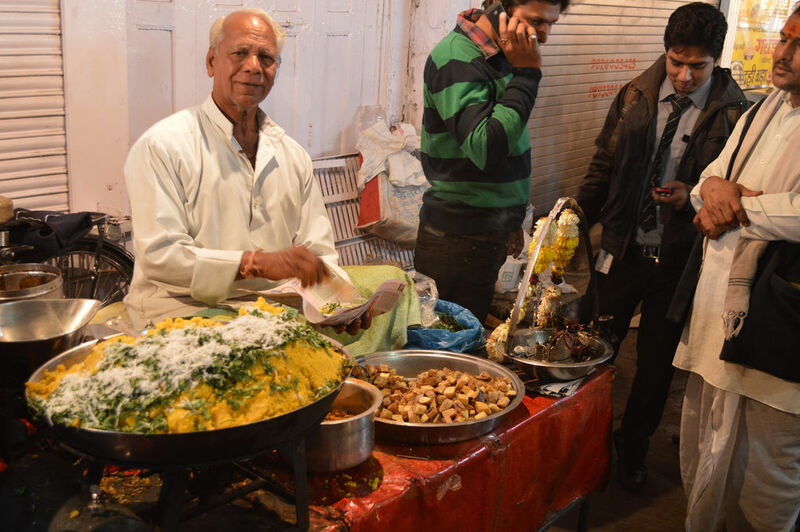 The foodies hunt for such corner wherever they go and make a visit to the place as a must-do ritual. Indulging in food at different places is a good experience for them. This thread is dedicated to these Foodies Paradises and the Foodies of all the cities. Roughly translating, Sarafa is a market where there is horde of shops which deals in ornaments made of gold, silver, diamond, etc. This market is also the same but only up to 8.30 PM. Sarafa, located behind Rajwada, a famous landmark of Indore, converts into Foodies Paradise after 8:30 PM and remains open till 2 AM. Yes, you read correct… it remains open till 2 AM… This market is famous for its street food. Every type of delicacies could be found here. You will find such items which generally people eat between lunch and dinner (during evening). 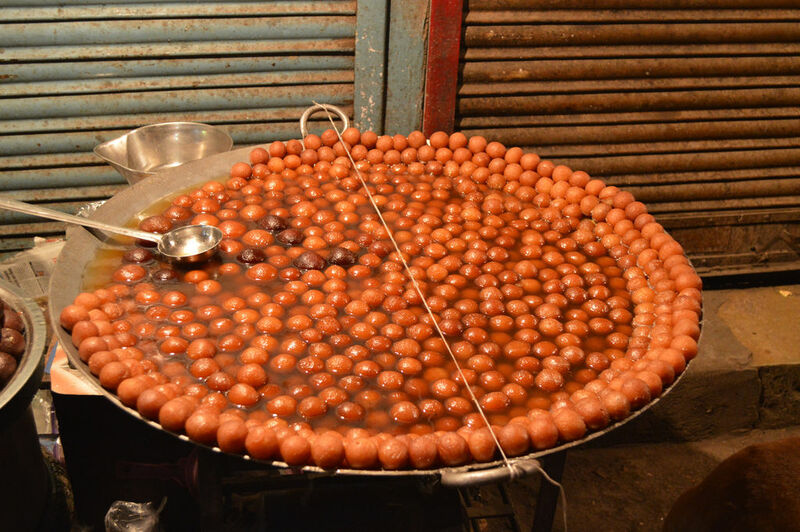 Like pani puri, jalebi, gulab jamun, garadu, Pav Bhaji, pizza even dosa and Chinese dishes in Indian style. The people with their family come here from every corner of the city. Locals from every walk of life of different age group feel proud to bring their visiting relatives to this market. There are several people who visit this market at least once in a month. Even the late comer from the office and their business can visit this market and it becomes a family get together for them. Vehicular traffic is not permitted in this market during night. So the people have to park their vehicles outside the market and in the lanes surrounding the market. Non-foodies also convert to foodies by visiting this market. 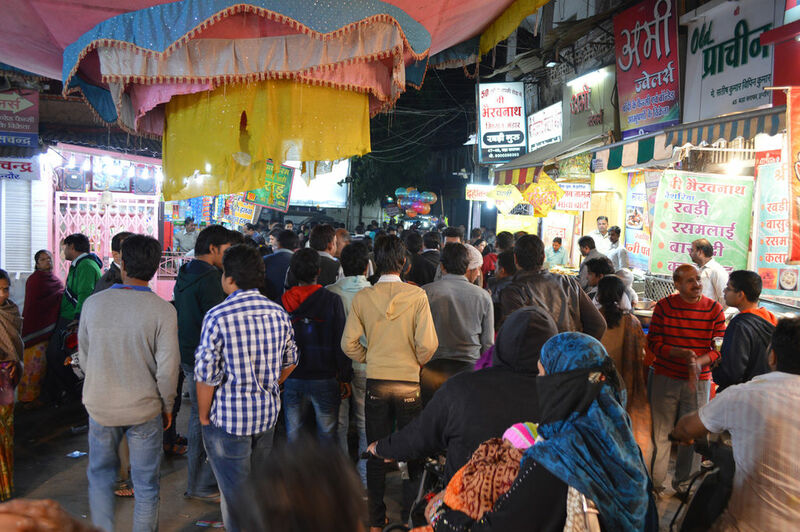 There are several occasions, the administration puts limitation on this market and ask the shopkeepers to leave the market by 10 PM, but the Indoreans fight it out and again the market is open non restricted. The Sarafa Food market remains open till 2 AM. 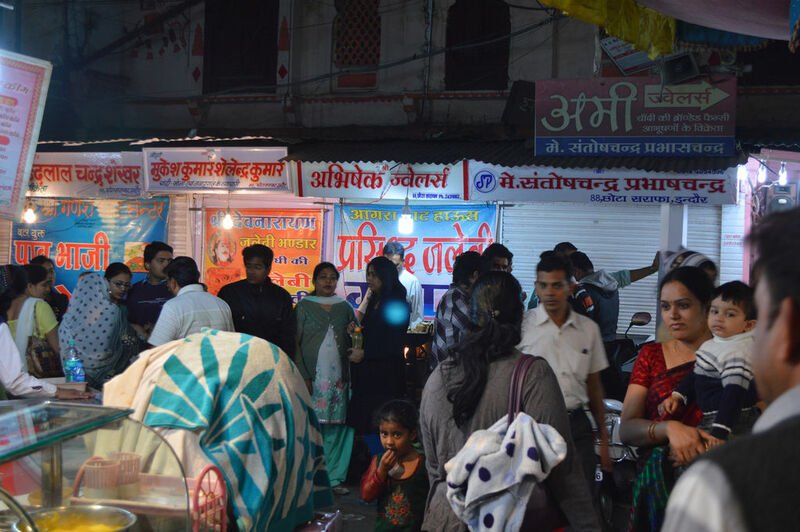 On Sundays, this market opens at 6 PM as Gold business (barring of few shops) remains closed on the day and remains open till 2 AM. But not necessarily all the sellers remain in the market till that time. If they finish their stuff early, they leave for their home early. It's a must-visit place in Indore! Outstanding, Prakaant. As an Indori would say, "Abey Jhaanki!" Thank you for coining a new word for the same [praiseyou :laugh: [praiseyou. They cook one at a time. It weighs between 250-300 gms! 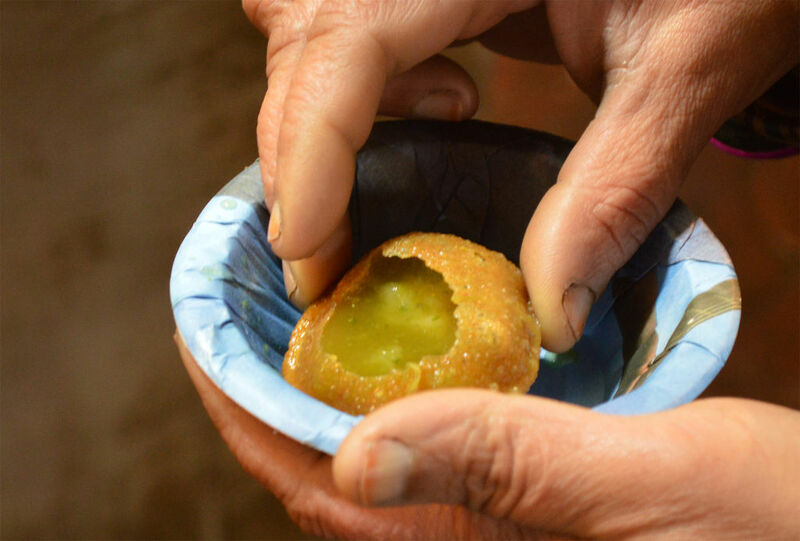 Though the paani in the "puchka" did not look so spicy but the photo itself is one of the best shot of golgappa or puckka that I have seen! What is the vendor in the last shot selling? Dhokla? Please add description of the food items photographed! No, the yellow item is Bhutte ke Kees (Grated Corn). Thank you for praising photographs! Yes, at present I am stationed at Indore! You will get varieties of sev at Indore! :) I 'll be writing on it also, may be in this thread only! Thank you everybody for liking this thread! I never guessed, you would like this thread so much! Hence, I had not done preparation on it! At present I am working on the next post and very soon you will find next one. After that, there would be regular posting in this thread! Great post, Prakaant! It is every foodies' delight to go through your post. I hope, taking cue from you some more "hidden gems" will be unearthed slowly. Just one thing: Long back I had to visit Indore for a bizarre Official engagement. It was very brief trip with loads of jobs. Hence I could not explore Indore properly. However, what struck me most at that time is the availability of various types of "Chanachur" (mixtures? ), which I haven't seen anywhere else. Can we have a chapter on this please? Thanks. Prakaant, found this thread just now thanks to WWTPT2. Great post and pictures. Sarafa market is really unique, how the street changes her garb in day and in night.